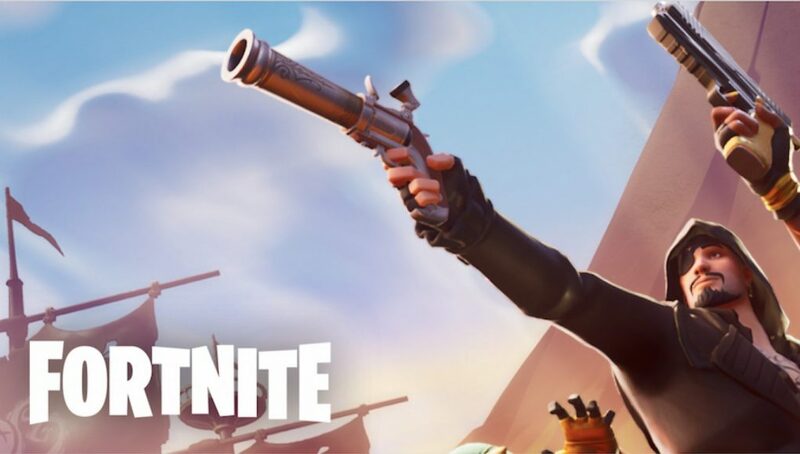 Fortnite v8.11 brought with it the new Flint-Knock pistol. The new weapon has the ability to knock the user backwards when fired due to its heavy back-blast. Excellent for trickshots and quick escapes. The new Flint-Knock pistol came out on Tuesday, March 22nd and people have already figured out dozens of great uses for the weapon. In addition to its high damage potential, it serves as a great movement option. The back-blast caused by firing the blunderbuss style weapon is quite significant and can prevent fall damage. The pistol has been getting heavy usage from all levels of players from casual public lobbies to high tier Gauntlet matches. In our opinion, Reddit user “fxxkz” has the best clip of the bunch. The shot the player hits is nothing short of unbelievable. Be warned, this clip is not for the faint of heart. Feekz (in-game name) has obtained high-ground over their opponent in 2v1 situation to clutch up the game. While the teammate is still alive, Feekz wants the glory to themselves. Rapidly building a ramp into the skies above the opponent, Feekz takes an Assassin’s Creed leap of faith off the top floor. Soaring down like a hawk, the player draws the Flint-Knock pistol and fires to reverse the downward momentum. This gives the player just enough of an window to pull the Heavy Sniper, line up a hipfire shot, and destroy the last remaining enemy. That’s the type of clip that you just have to respect. It’s got violence, speed, and momentum all packed into one. We have a feeling the Doc would be proud. So, if you see this player shredding targets in the kill-feed, it’s better to hole up in 1×1 box than take the fight. Absolutely incredible shot by Feekz, a legend is born.